Unit studies are a great tool to gain your child’s interest and spark a curiosity about learning. Another benefit of unit studies is the ability to tailor make it yourself and for those teaching multiple ages and stages. 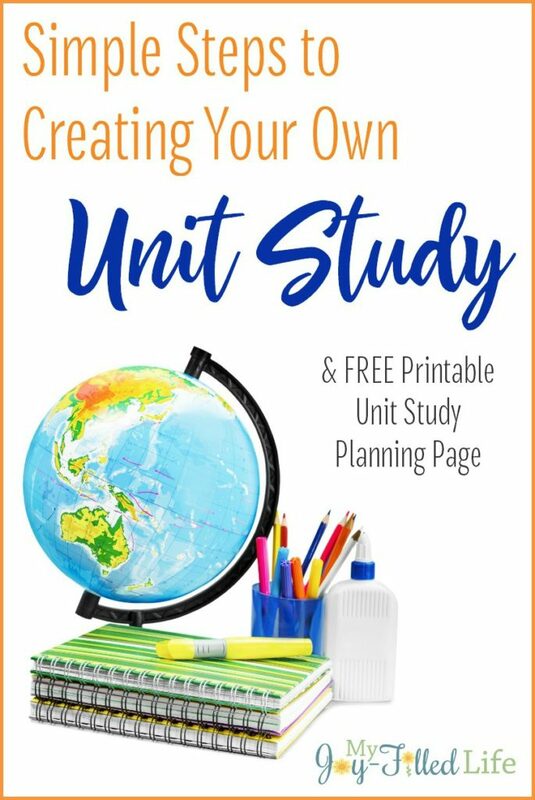 Planning unit studies may sound overwhelming, but with these simple steps you will learn how to plan a homeschool unit study. 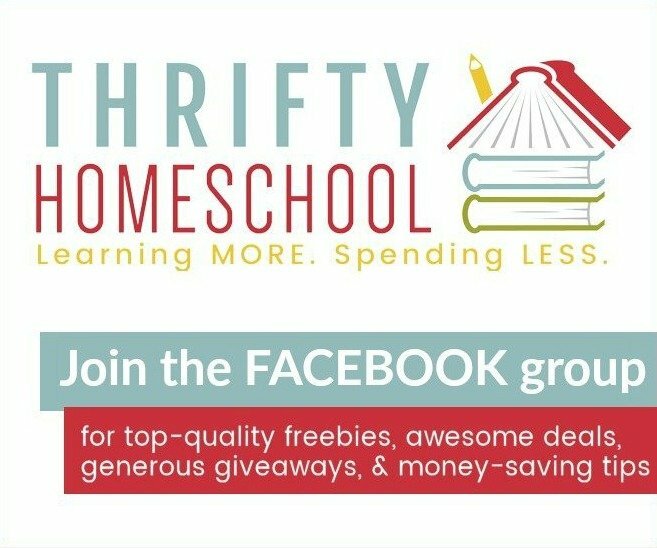 Does your homeschool center around history? Does your family love science? Think of an area of study or a topic your family will most enjoy. Your topics can be as simple as horses or a holiday. Perhaps something fun like fashion in the 20th century or chocolate. You can pick a broad topic like inventors or focus on Thomas Edison. The options are limitless. A unit study can be as short as week or as long as 12 weeks. The length of time you chose will directly influence how focused or broad your topic will be. Unit studies should include a variety of subjects such as science, history, language, art, music, geography, and math. If your subject does not directly include one of these subjects such as math, you will need to provide an alternative resource or curriculum. Find a variety of fiction, non-fiction, and reference books to add to your study. Consider other forms of materials such as websites and documentaries. To enhance your study, plan activities and field trips your children may enjoy. This is the perfect spot to add in art, music, and science. 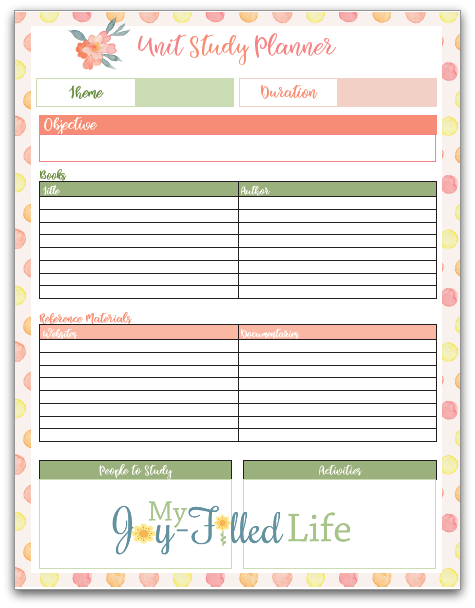 Stay organized and on track when planning out your next unit study with this handy FREE printable unit study planner page that I’m offering to subscribers. I’m offering these math cheat sheets FREE to My Joy-Filled Life subscribers. To get yours, simply subscribe by clicking the download button below and going through the checkout process (don’t worry, it’s FREE). 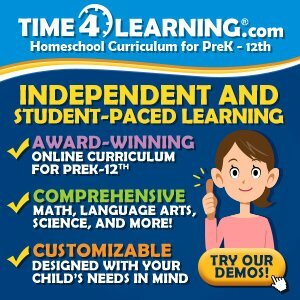 Homeschool Legacy offers Once-a-Week Unit Studies designed to make your life easier and help your children have more fun learning. They offer over a dozen different unit studies that take anywhere from 4-8 weeks to complete, like Early Settlers, Revolutionary Ideas, and Horsing Around. These unit studies can be used for grades 2-12 and even fulfill certain Boy Scout and American Heritage Girl requirements. You’ll find tons of unit studies here, from geography and history to science and holidays. You are sure to find something you are interested in studying here. These unit studies are just Download N Go so you can jump into learning right way! Wildlife Adventures Unit Studies are fun for the whole family! Each interactive unit study highlights a different animal and includes bible, handwriting, science, spelling, vocabulary, language arts, history, geography and more (just add math)! Save time & money as you study God’s creation. Inspire your students and help them develop a lifelong love of learning as they grow closer to the God who created them!